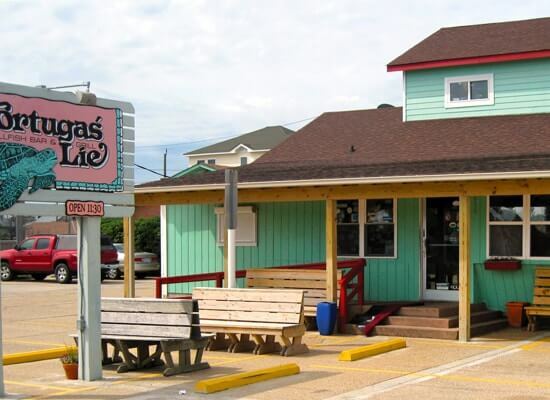 Tortugas Lie – Nags Head, NC: Nestled among the dunes of the Outer Banks in this Nags Head restaurant, you’ll find a delicious slice of the Caribbean known as Tortugas Lie. 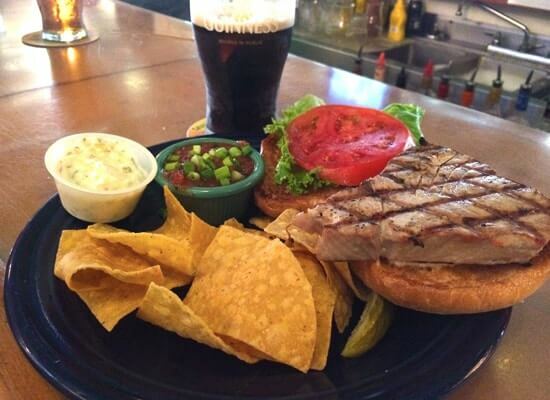 Founded in 1989, Tortugas Lie is home to some of the beach’s finest fare, from mouthwatering appetizers to dinners and desserts so delicious you can’t help but come back again and again. 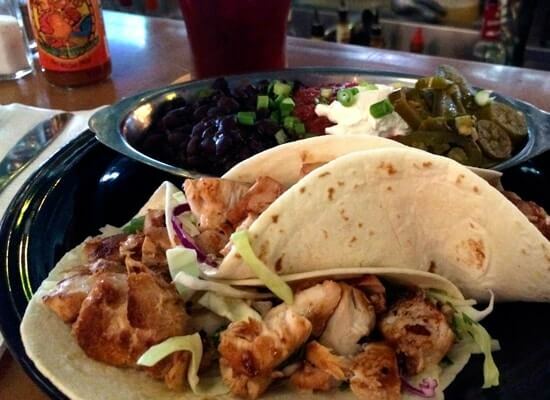 But a great menu is only the beginning of what makes Tortugas so special. Why not c’mon in and see exactly why this quaint little Nags Head restaurant of ours is not only a locals’ favorite, but the destination for hungry vacationers year after year. 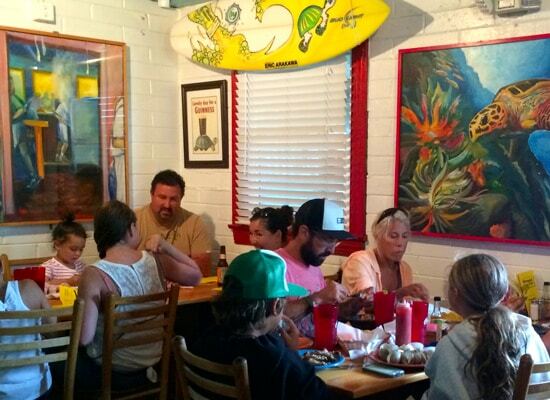 Voted #1 Seafood Dive by Coastal Living Magazine! 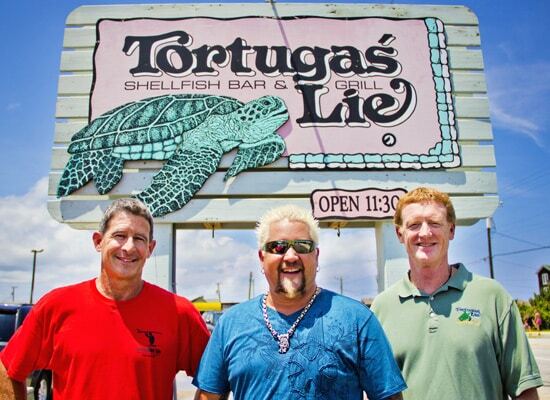 Tortugas Lie has been featured on Diners, Drive-Ins and Dives with Guy Fieri. Watch it here. Tortugas Lie also has a sand volleyball court in their backyard. Open to the public for use from 10 a.m. to 8 p.m. in the summer, there are local league pick-up games happening during the week! Don’t let the outside of the building fool you. 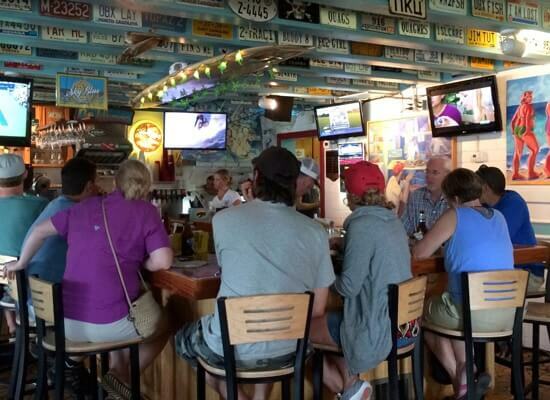 Come on in and experience delicious lunch, dinner, and creative cocktails in this Nags Head restaurant tradition.